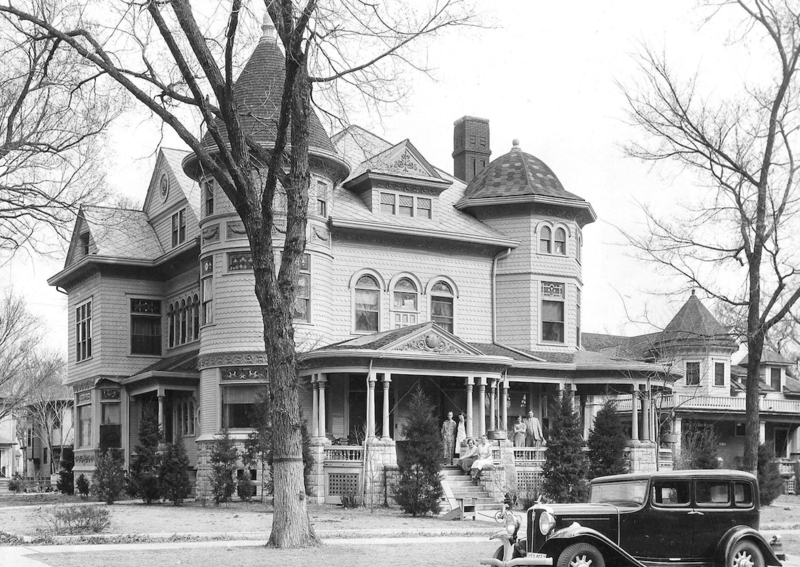 The Cross House, circa-1932. See the two towers? See the roof finial on the round tower? 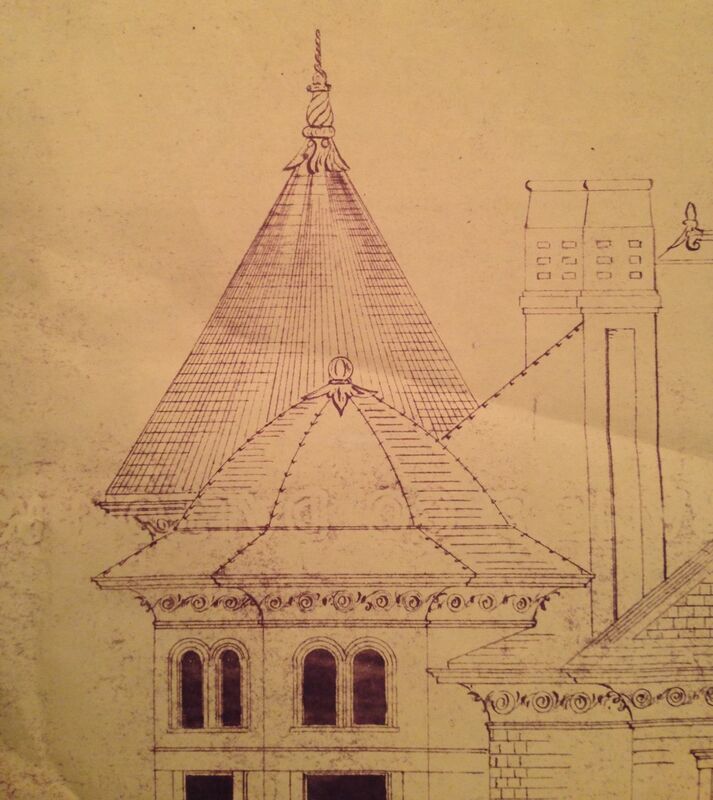 See the roof finial on the octagon tower? Image courtesy Mouse family archives. The Cross House, 2015. The round tower retains its fabulous roof finial. But the finial on the octagon tower is long lost. And this is what it looked like. It was a sphere sitting atop some sort of, ah, fish-scale base. I think. None of the roof shingles are original. The original drawings for the towers by architect Charles W. Squires. The round tower finial does, indeed, look pretty much like the drawing. However, the lost octagon finial was changed in execution. The drawing offers something quite valuable: scale. The sphere was 10- to 12-inches wide. This is vital information. By summer, if all goes well, the roofing on the towers will be new. And the missing finial really absolutely most certainly and without-a-doubt needs to be resurrected. It would be criminal to have pretty new roofing but with a denuded…top. The obvious choice to make a new finial is W. F. Norman. The company is almost as old as the Cross House is, having been founded in 1898 (four years after the Cross House was built). Norman makes all things metal, notably tin ceilings. They also offer metal roofing, and metal roof flourishes. But they have nothing like my missing finial, so I would have to have one made. Which translates into $$$$$$$$$. Scary $$$$$$$$$. This is about $250. But it looks nothing like the lost original, and I am unsure if the scale is right (the base is only 8-inches wide). I also don’t think the octagon finial should compete with the round tower finial, as this finial would. The architect of the house clearly also thought the same. Still, only $250. This is not bad, and is by Denninger. The cost? About $900. Ouch. But is IS copper, and the sphere is 10-inches wide, so the scale seems right. Well, I know me, and know I would go for this $900 option over the not-right $250 option. Sigh. Funny, but if somebody had told me a few years ago that I would be obsessing over roof finals I would have thought them quite mad. Yet, here I am. Obsessing. Well, what are your thoughts? 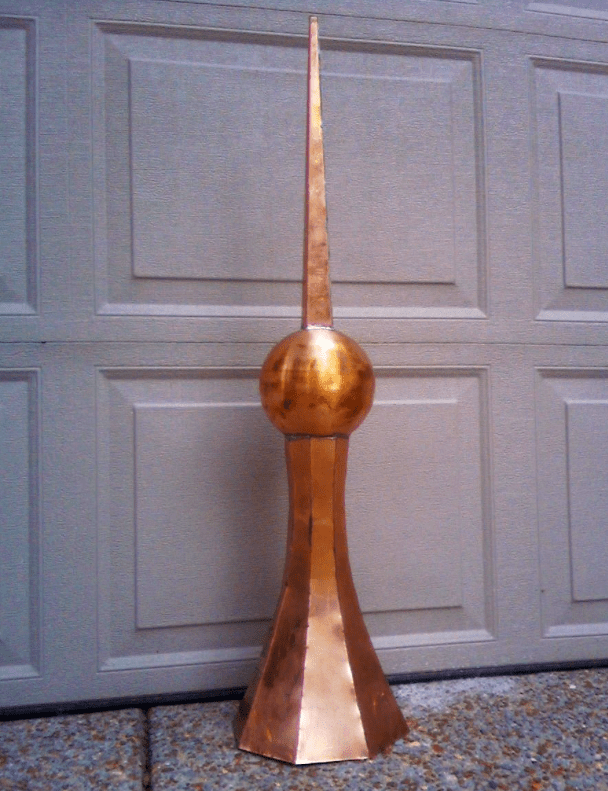 Anybody know of a fabulous sphere finial sitting in a salvage yard for, you know, $50? 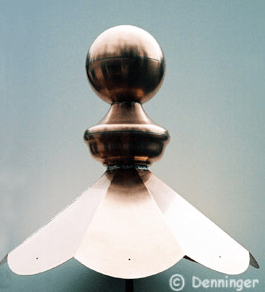 Copper is great, but the house abounds with galvanized tin details and flourishes and cornices so galvanized tin is also fine. Just as an FYI. See the roof flourish in the very upper right corner? Tooooooo delicious. Yet I don’t think such flourishes were ever installed. You cannot see such features on any of the old images, although trees obscure most of the roof. So, I think, think, this kind of feature was never installed, and when the main roof was replaced with cementitious tiles (extant) in the 1920s, there was not a hint of dramatic roofing flourishes remaining. 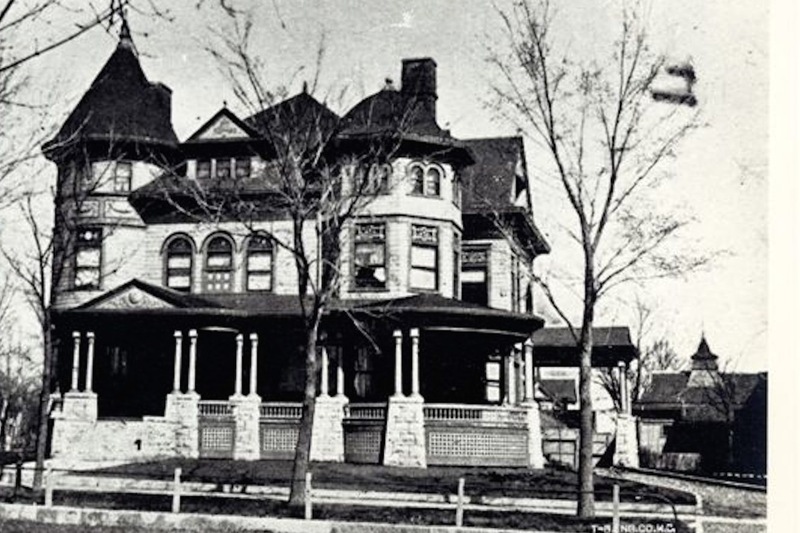 The Cross House, 1895. See, you can’t really see the roof. Walter Anderson Collection, ESU Archives. 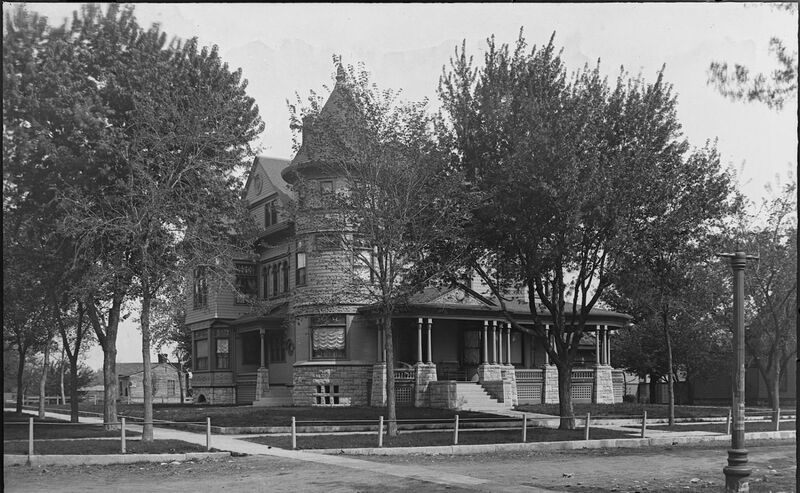 The Cross House, circa-1905. 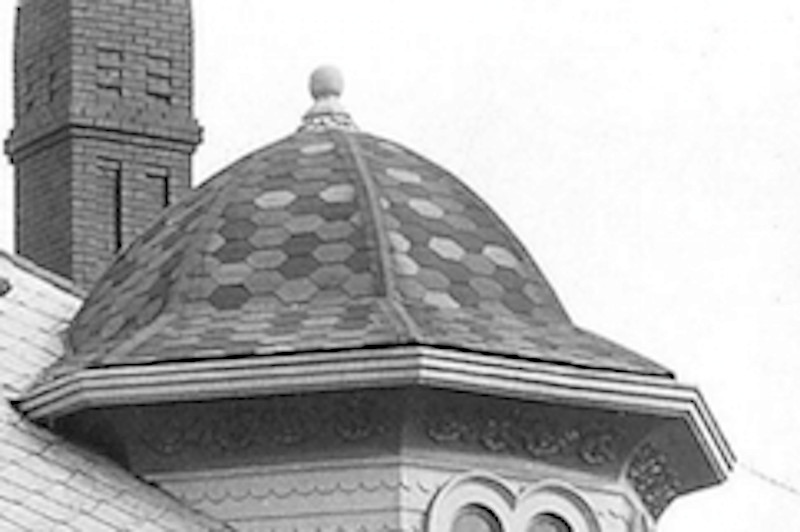 While writing this post I pulled out this image, and was stunned to see that the roof did indeed have flourishes. It abounded with flourishes! Zounds! I am agog! I have stared at this image many times but never noticed the roof bits. The one in the center looks quite large and might well match the one shown in the original drawing. The gable end flourishes though look smaller. Walter Anderson Collection, ESU Archives. Did the gable end flourishes look sorta like this? The 1920s cementitious roof is in about the same condition today as when it was first installed. A retired roofer advised me to never replace it as I would regret it. “It will last forever,” he said. So, I plan to retain it as long as possible and, thus, do not plan to recreate the lost flourishes. Even though they would look great. 13 Responses to Desperately Seeking a Lost Roof Finial. In Two Parts. It’s a shame these things are so expensive now since at one time they were off-the-shelf products. I can ask about finials around these parts. 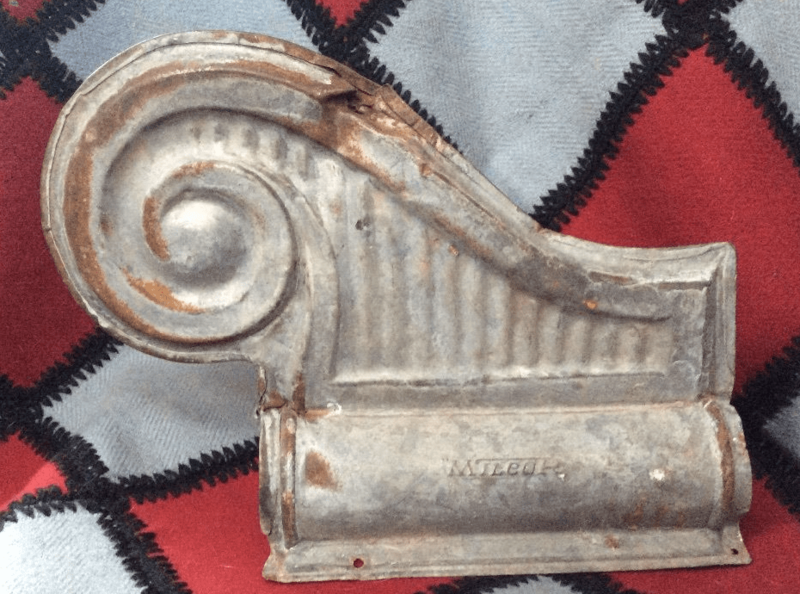 Would you settle for galvanized iron or pressed tin or does it have to be copper? The house abounds with galvanized tin, so a galvanized tin finial would be fine! It real is a shame, and so right about how they were “off the shelf” products at one time. I look at old Sears and Roebuck catalogs, see all these cool bits one could buy and at really good prices. Metal smiths would just stamp out tons of these at a time..
Philadelphia Salvage has nothing like what you want. You could contact the expensive salvage yard and if they have something and somehow it manages to be competitively priced, I’ll do what I can for you. Also, that salvage yard helped an unscrupulous developer with this massive architectural history sell-off. I’ve had a bit of a grudge ever since. The building is now being restored after several flips, though now the lobby is now the only interior that has anything left to restore. Definitely the $900 one, there’s no question (sorry to say). My plan actually is to work with WF Norman to create a custom finial for the octagon tower. I will write an update post as things develop! Just think of what a good deal you got on the gas/electric light fixtures. I justify all kinds of things that way. I love to have something to look for and as we have two fabulous salvage places here in Richmond VA… Well??? So excited about the flourishes. Many of the Victorians here still have them, while many do not. Perhaps they might happen, too, one day! Oh… And regarding the finial scale is everything, of course!! The $900 one (but let’s hope there is a “find” awaiting out there somewhere. I am crossing my fingers!!!! I like the $900 ball. I wish I had a pointy roof to put it on. Ross, In the 1905 picture the far right tree looks like in the tree, What is that? a UFO? LOL.. 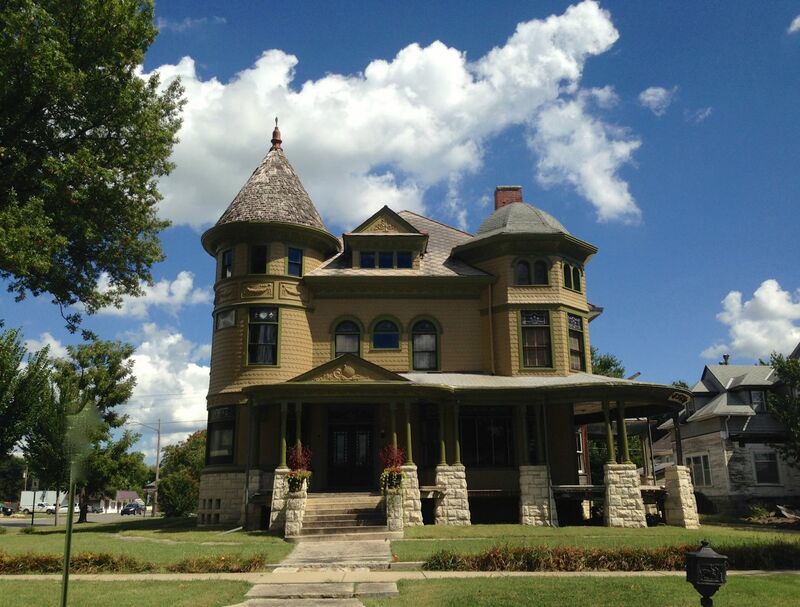 I have so enjoyed your blog on this house.Thank You for sharing this with us.. If it’s not too late, have you seen this site.